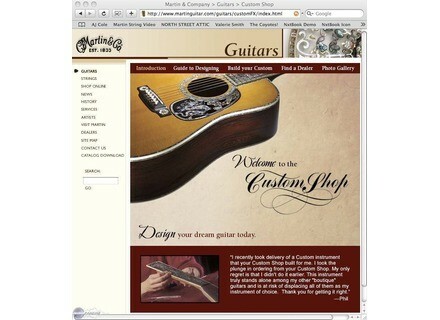 Virtual Custom Shop, Other Guitar Accessory from Martin & Co. 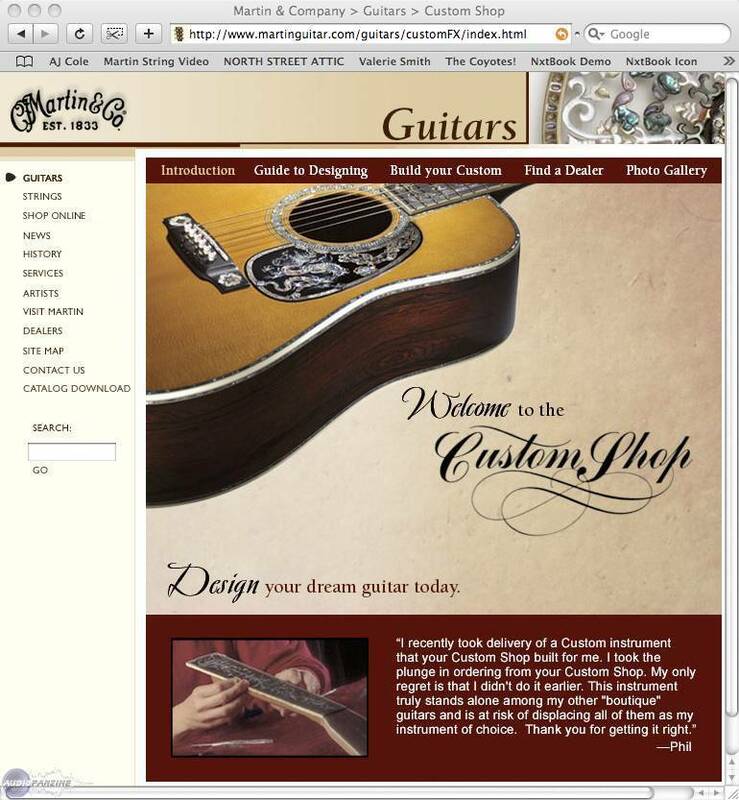 Guitar manufacturer Martin & Co. has launched a new online application enabling consumers to create their own custom shop acoustic guitar. Located on the Martin Guitar website, the new user-friendly program is a fun and easy way to try almost limitless ideas for creating unique models. The application is graphic based, thus allowing the user to immediately preview his choices while providing detailed specifications and approximate pricing. The detailed steps at the online Custom Shop begin by choosing the shape and size of the guitar. Built in many different sizes and shapes, with different materials, all produce a different tone, some subtle, some dramatically different. Consumers will be able to choose the body style, orientation (right or left handed) and scale length. Next step is selecting tone woods (top, back and sides). A diverse array of premium tone woods, from exotic to traditional, are available. Each has its own unique character, color, figure, texture and tonal qualities. Martin then expertly applies the finish (sunburst, natural or toned “vintage” lacquers) to protect the wood, enhance the sound and further customize your instrument visually. The neck's wood, shape, headstock, tuning machines, decal, inlays, bindings and fingerboard can also be selected. All in all, consumers will be able to customize nearly everything from the headplate, fingerboard, pickguard and bridge to the back and sides. Swineshead Pickups RG2228GK Swineshead Pickups Introduces Two New Eight String Humbuckers. Orange Amps 40th Anniversary OR50 Orange amplification is launching an anniversary production amp head model: OR50. Dean Guitars Corey Beaulieu Signature Metal band Trivium and Dean Guitars present a new series of signature models released for the band's guitarists, Matt Heafy and Corey Beaulieu.